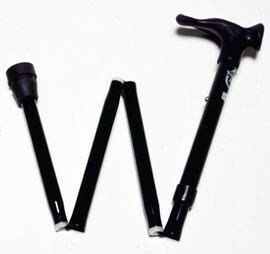 An extremely comfortable anatomic walking stick with left or right handgrips. -- Please Select --Left Hand 33-37"Right Hand 31-35"Right Hand 33-37"Left Hand 31-35"
An extremely comfortable anatomic walking stick with left or right handgrips. Featuring a very strong black aluminium shaft with rubber tip, they have a snap open mechanism and are easily folded away.